Don’t forget to stop by the Moses Lake Museum & Art Center for the Reheated: Baked, Mashed or Fried Potato Art Show. 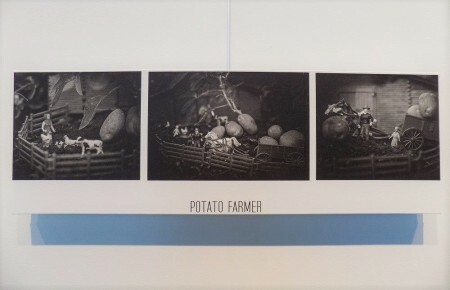 This gallery is a revamp from the museum’s previous annual potato art show “Baked, Mashed or Fried”. All entries are original or a recreation of famous artwork in a potato theme. Several art pieces are available for purchase. This year the $500 “Golden Potato award” was given to Korbi Ashton’s “Potato Farmer”. WSPC staff members had the opportunity to view the exhibit. Without a doubt, the artwork was very creative, and the competition was steep. This outstanding gallery will be running through November 9th, stop in and check it out!